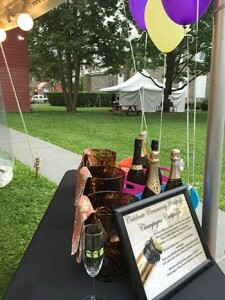 The grounds of the Senate House provide a unique setting for your family gathering, engagement party, corporate event, or private function. Why not let your guests step back in time and take in the beautiful surroundings that make up the Senate House State Historic Site? Gather together in a place that has stood the test of time. For more information on holding events on the Senate House grounds, please contact The Senate House directly at (845) 338-2786.